If these traditions aren't for you, get ideas for other options. There are a lot of traditions involved in a wedding, although they tend to go through phases of popularity. For example, it wasn’t long ago when the “first look” was virtually unheard of, whereas now it’s a commonplace custom. 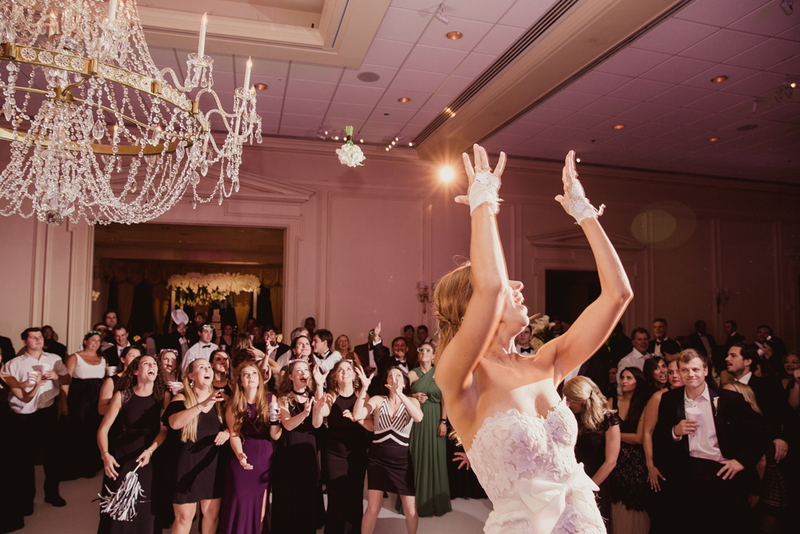 The bouquet and garter tosses are instances of traditions falling out of fashion. In the case of tossing the bouquet, some brides are simply too attached to their increasingly elaborate arrangements and don’t want to give them away. One solution to this is creating a smaller arrangement of flowers specifically to throw to the single ladies. Even still, modern sentiments have made the idea of gathering unmarried women to fight over the chance to be the next to wed distasteful to some brides. On the other end of things, there are brides and grooms who find the idea of participating in the garter toss to be absolutely mortifying. Even those who don’t mind the attention often still find the practice of removing an undergarment and tossing it to a group of men to border on tacky. Of course, there are also plenty of couples who embrace these traditions and are able to make it a fun diversion at the reception. However, if it does not sound like your cup of tea, there are still plenty of activities if you don’t want the party to just be several straight hours of dancing. For newlyweds who want to have a sentimental reception, an “anniversary dance” is a lovely moment. Ask all married couples to the dance floor and, while a love song plays, have them exit the floor based on how long they have been married. At the end, there will be one couple – often a charming pair of grandparents – who will be honored for their long-lasting union. They can even be gifted with the bridal bouquet or some other token. If your crowd isn’t into dancing, a luxurious and opulent alternative can be to bring in performers to entertain your guests. Dancers, acrobats, magicians, and more are all ways that will make your wedding stand out. Nobody is going to miss a bouquet or garter toss if they feel like they just attended a professional show. Perhaps you like the idea of the traditions but feel the connotations just don’t fit with modern society. Instead of removing the garter from your leg, it could be attached to a football or something similar at a prior moment, preventing any scandalous incidents. A bouquet toss can always be co-ed, or you can take part of a breakaway bouquet – arranged so the flowers come loose and every women gets one – think of Cady Heron and the "Spring Fling Queen" crown in Mean Girls! For more ideas and advice, learn who should give a toast on the big day and how to make your wedding reception the ultimate party.